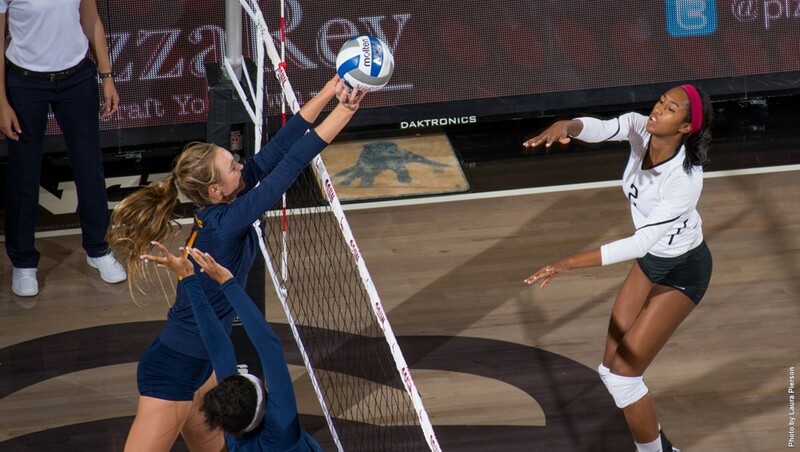 Alta Loma High School graduate Aeryn Owens of Cal State Northridge has been named Big West Women’s Volleyball Freshman Player of the Week. The 6-0 outside hitter averaged 4.14 kills per set as CSUN’s second-biggest offensive threat, helping the Matadors defeat UC Irvine and UC Davis on the opening weekend of Big West play. Owens had 13 kills on a season-high .435 hitting against UCI, adding three digs and one block in the victory. She equaled her season high with 16 kills on 44 swings (.250) in the win over the Aggies. For the week, Owens hit .313 (29-8-67). Owens helped Alta Loma to a CIF Division 4AA title as well as a berth in the Division 4 state championship game last year as a senior. It was the Braves best season ever.